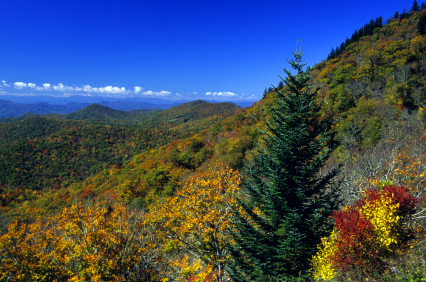 Tennessee is a long, narrow state that is couched between the Mississippi River and the Appalachian Mountains. The state is most famous as the home of the Grand Old Opry and the legendary country music performers who started their careers in one of the many live music venues near Nashville. Memphis, located on the Mississippi, is known as the home of Elvis Presley and Beale Street blues music. If you are planning to move to Tennessee, you should look into your car insurance options before you relocate. Insurance regulations and prices can be very different from state to state. A quick online quote comparison will help you make an informed insurance decision before you ever set foot in your new home state. Current Tennessee residents can also benefit from comparing insurance quotes regularly. Even if you are completely satisfied with your present insurance company, quote comparisons can help you keep track of changes to your rates based on your changing demographics from year to year. Something as simple as changing jobs or moving to a new house can cause your rates to change dramatically. How much would you pay for car insurance in Tennessee? Enter your zip code in the form on this page to find out. Tennessee allows drivers to choose between a split limit option and a single limit option for their minimum insurance requirements. Must be equal to the minimum required amount of bodily injury coverage. UM does not have to meet bodily injury insurance coverage amounts that exceed the minimum requirements. New Tennessee residents have 30 days to transfer their out-of-state driver's license and vehicle registration. Anyone who establishes permanent residency in the state is expected to acquire a valid Tennessee license and registration in order to drive legally within the state. The only exceptions to this rule are students and active military personnel who plan to maintain their residency status in their home states. Vehicle registration transfers must take place in person at your local county clerk's office. Each Tennessee county provides county clerk offices in the larger cities of the county. You can find a complete listing of counties and clerk locations on the Tennessee government website. Depending on the county you live in, you may be required to have your vehicle pass emissions testing before it can be registered. Your county clerk's office will be able to direct you to a qualified emissions testing site so that you can complete the required tests and present an emissions certification as part of your registration application. New residents must complete and submit a registration transfer application. You also need to provide adequate identification information, including proof of residency in Tennessee and proof that you are in the United States legally. A photo ID, original birth certificate, green card, or other government documentation would be acceptable. A piece of mail or a paycheck stub that shows your Tennessee address as well as your legal name can be used to prove state residency. You must present the most current registration paperwork for your vehicle, as well as the vehicle's title if it is not in the possession of a lien-holder. In some cases, the registration process can take longer than the established grace period for transferring your registration. You can apply for a temporary tag to display on your vehicle until the permanent registration is complete. If your car did not pass the initial emissions test, you need to show the Department of Revenue office with the failure papers from the emissions testing site, as well as any bills for repair work you've already done to attempt to meet emissions requirements. If you're waiting for a title to be processed, you need to present proof that something is being done about the title, ownership papers for the vehicle, and a valid driver's license. New Tennessee drivers should be aware that the state allows you to drive your hybrid vehicle in the HOV lane without meeting the carpool qualifications. You can submit an application to the vehicle services division with the Tennessee Department of Transportation if you drive a qualifying hybrid vehicle. Once you receive your Smart Pass decal, you will be allowed to drive in carpool lanes at any time without carrying additional passengers in your vehicle. You can ask for details while you are transferring your registration. Anyone who needs to transfer an out-of-state driver's license in Tennessee will need to visit his or her local Driver Services center within the first 30 days of residency. You will need to present your valid driver's license from your previous state, as well as specific identification records that prove you are a Tennessee resident and that you are in the United States legally. If your previous driver's license expired more than 6 months ago, or you do not have a driver's license from your previous state, you will need to present a record of your driving history for the 6 months prior to the date of your license transfer request. Proof of Tennessee residency must be dated within the previous 4 months. Once you receive a new Tennessee driver's license, you must surrender your out-of-state license. No one may possess more than one valid license at a time. All identification documents must be original. Photocopies are not accepted. All documents are subject to verification, which can delay the issuing of a new driver's license in some cases. Drivers under the age of 18 who want to transfer their driver's licenses must present additional information before they can qualify for a Tennessee license. You will need to provide a signed teenage driving affidavit that includes information about your financial responsibilities as a licensed driver. You also need to present proof that you are currently attending school with an acceptable grade point average, and a certification that proves that you have at least 50 hours of experience driving a motor vehicle. All of these forms can be obtained at a local Driver Services center, or you can print them off from the Tennessee online driver services website. The clerks at the Driver Services center have the right to ask anyone to complete a written driving test or a physical driving test. All applicants are required to pass a vision-screening test before they will be given a new license. If your out-of-state driver's license has been expired for more than 6 months, you will be required to pass the written and physical driving tests regardless of your age or experience as a driver. Driver training manuals can be obtained through any Driver Services center and contain all of the information you will need to know for the written driving test. Tennessee will not grant driving privileges to individuals who do not meet the requirements. People who cannot obtain licenses include anyone who has had their license revoked or suspended in any state, anyone with documented addictions to alcohol or other drugs, anyone 18 years old or younger who has dropped out of school, anyone not in the U.S. legally, and anyone deemed unfit to operate a motor vehicle due to mental or physical disabilities. If you know where to look, there are great deals on auto insurance in Tennessee. 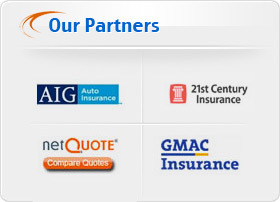 Most major insurance carriers provide coverage in Memphis and all the other cities of Tennessee. Tennessee rules only require you to abide by Financial Responsibility Law. You should be in a position to pay the victim his damage compensation. The police does not care who was at fault, it simply refers both defaulters to the DMV. If you do not have any security lying with the body and you car is uninsured, your license is seized and so is your car. The fine is $100 for first offense. You may even land in jail if the offences continue. SR-22 is a form which gives relevant information about every owner. When is his policy going to relapse? Is there any case pending against anyone? There is a nominal fee to be paid for acquiring the form. Post an accident, the installment gets higher. Car Insurance is pretty affordable in Tennessee for the simple fact that the rules are not strict. You may get enormous tax benefits, car safety and saving schemes. People who own more than one vehicle get great insurance offers that they often cannot refuse. Multi-line insurers generally give free auto insurance in Tennesssee. If you are a responsible citizen and need to insure your four-wheeler come what may, you may check the best deals aand quotes online. Inevesting with big insurance companies is often a great idea because of greater security. For people who drive their car with all precaution, Tennessee is a landmark. 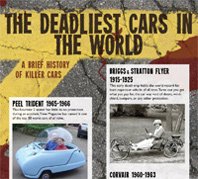 They will get heavy discount and an upper hand in all insurance dealings. They can always opt for no auto insurance.